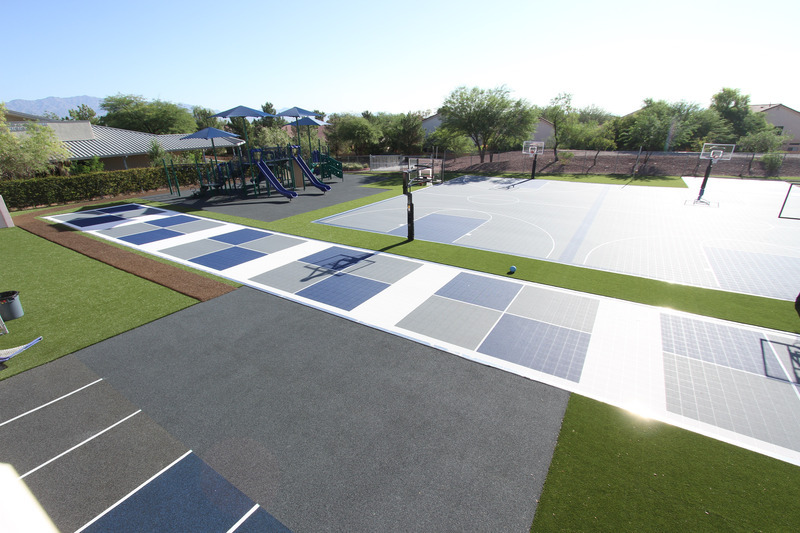 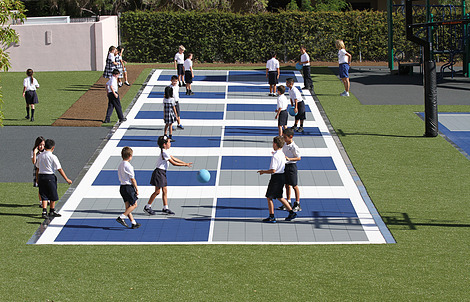 VersaCourt multi-activity game courts are the perfect alternative for concrete or asphalt surfaces regularly featured on grade school playgrounds. 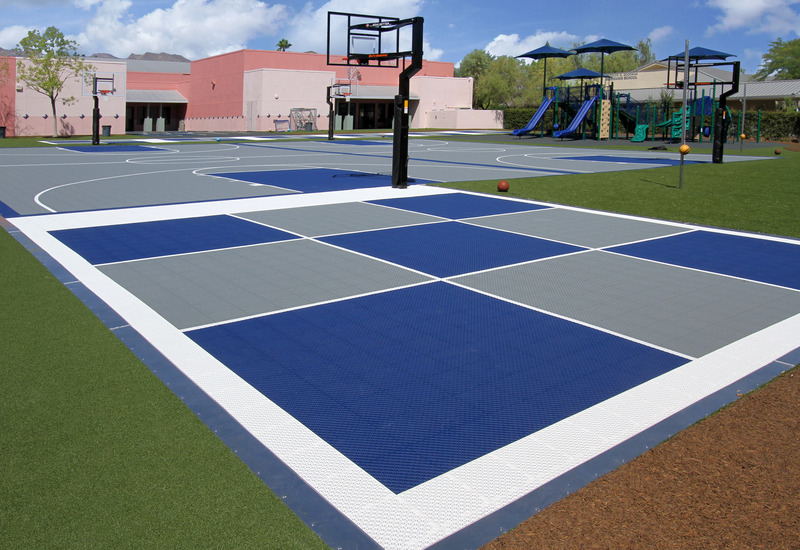 VersaCourt tile stays up to 50% cooler than traditional black top, and provides a slight vertical flex to help protect students from activity-related injury. 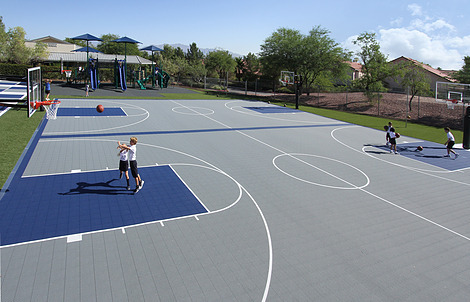 VersaCourt playground courts can be customized to include any number of sports and activities, the only limitation is your imagination. 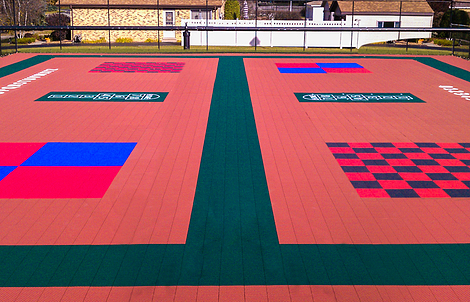 Every VersaCourt playground surface is laid out and checked for product consistency in our controlled environment, where our staff then paint game lines, logos and graphics by hand, to ensure the exceptional quality and longevity of our court solutions. 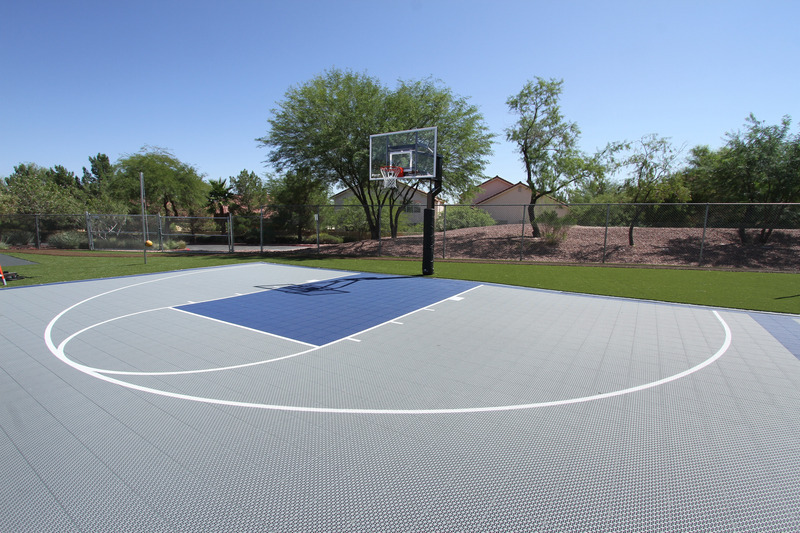 Our attention to detail is unmatched, and we guarantee customer satisfaction with our products. VersaCourt tile provides a safe, comfortable playing surface for court-based games and activities. 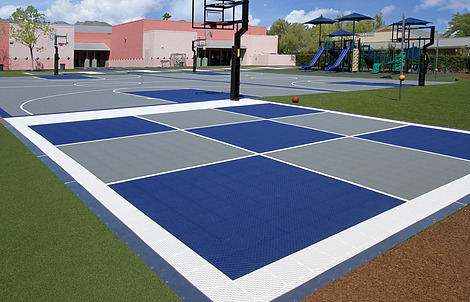 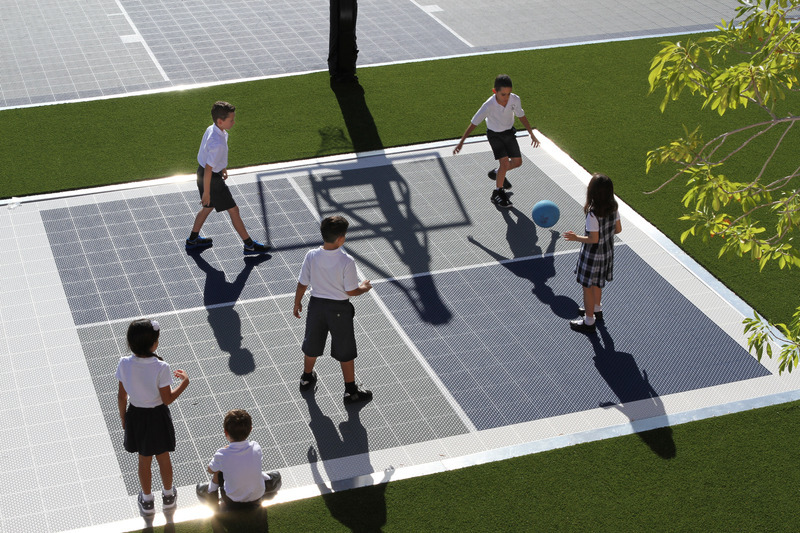 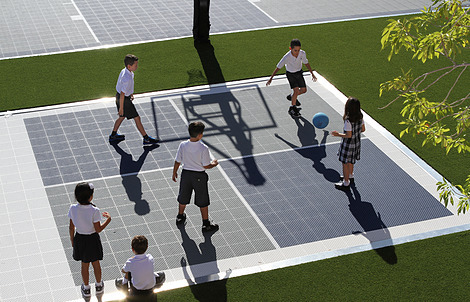 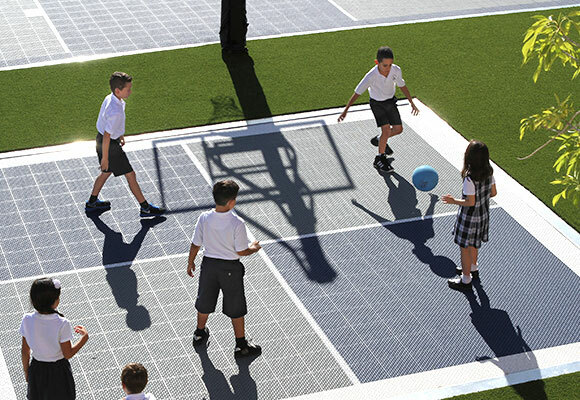 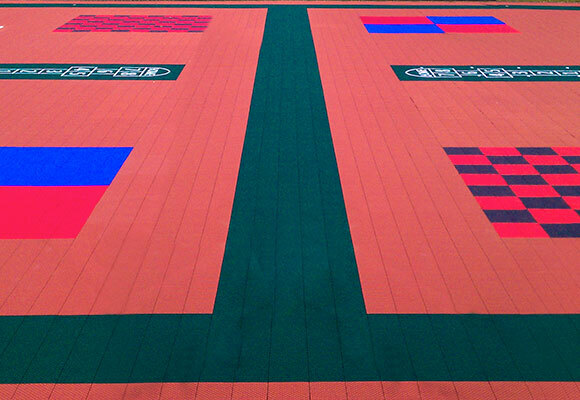 The slight vertical flex and side-to-side movement of the court tile provides protection for students' knees, joints and lower backs, while the open-grid surface texture provides added slip-resistance. 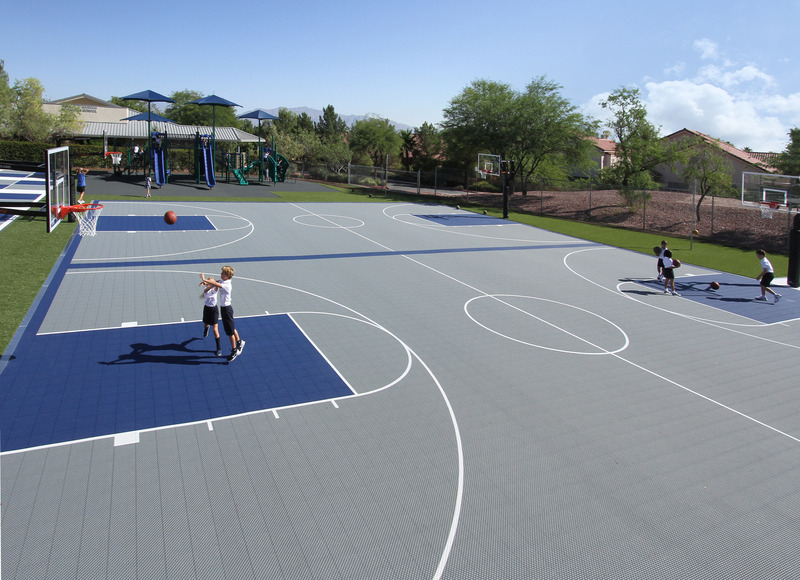 VersaCourt tile is also fast-draining and dries quickly, which allows students to play on the court soon after inclement weather. 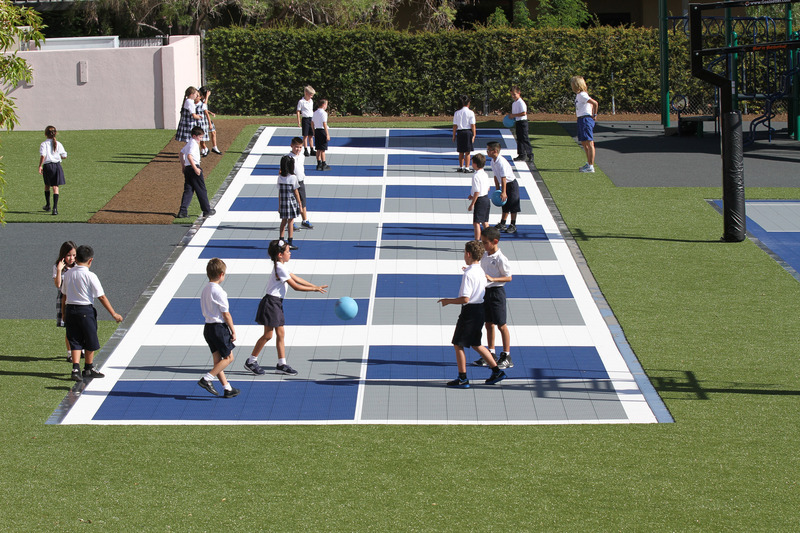 Every VersaCourt system can be endless customized to include any number of game or activity lines that you want featured on your playground surface. 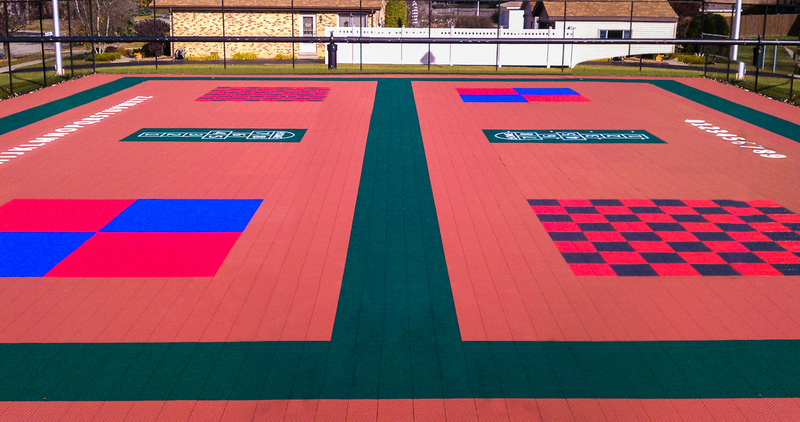 Our in-house design team can work with you to develop a solution that perfectly matches your aesthetic and athletic requirements, utilizing any combination of our 17 tile color options, as well as custom logos, graphics or text to create a truly unique recreational surfacing solution.